More lenient lending standards will make it easier for some borrowers to get mortgages; it will also increase competition among mortgage lenders. The housing market will stabilize with home prices slowly continuing to increase. Federal Home Loan Mortgage Corp. is predicting mortgage rates will rise to 5% in late 2015. Home equity lines of credit (HELOCs) or other variable-rate loans may become more expensive. Deals and strategies vary depending on whether lenders are offering a “jumbo” mortgage, refinancing offer or first-time homebuyer’s loan. According to a recent article in the Wall Street Journal, getting the right mortgage means understanding the types of loans available, with lenders targeting offers based on eligibility. Since jumbo mortgage loans typically exceed $417,000 ($625,500 in major metropolitan areas), lenders usually start with current, qualified banking customers where they have an existing relationship. “Ease to pre-qualify” will be a key differentiator for lenders. Banks are offering incentives to customers to expand their relationship to include mortgages. For example, J.P. Morgan Chase is offering a rate discount of .125% with automatic payments through a J.P. Morgan checking account, according to Competiscan. A resurgence of refinancing applications accounted for almost 74% of all mortgage applications in mid-January 2015, according to the Washington-based Mortgage Bankers Association. With the rate increase around the corner, lenders are encouraging HELOC loan holders to refinance. Quicken Loans was one such company that sent refinancing offers to select homeowners, highlighting competitive low rates and flexible terms, and specifically promoted $1,000 off jumbo loan closing costs, according to Competiscan. First-time home buyers are being offered mortgages with little to no down payment required. In fact, Fannie Mae is offering first-time homebuyers a 3% down program. Banks are offering creative incentives, too. According to Competiscan, U.S. Bank offers a closing cost discount of $500 for any mortgages over $100,000. Mortgage lenders continue to use direct mail as an effective and rewarding marketing tool. Market research firm Mintel Comperemedia reports a 7.8% increase in mortgage mail volume year-over-year from 2013 to 2014. Mortgage lenders mailed nearly 2.5 billion offers in 2013 and 2.7 billion in 2014. The top mortgage acquisition mailers were Bank of America, Discover, Embrace Home Loans, Inc., Quicken Loans and Third Federal Savings & Loan. Personalization is powerful. Add a personalized tag line that can be seen through a window on the outer envelope such as, “John, Your Mortgage Information is Enclosed!” or “Jane, Refinance Your HELOC Now!” Mortgage marketers are using digital inkjet technology to create highly personalized and relevant mortgage offers that deliver results. 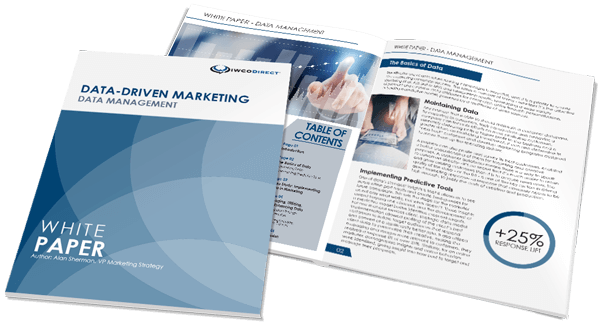 One-to-one marketing can be achieved through the use of dynamic data driven letter content and the latest full-color variable-data digital inkjet personalization technology. Customized messaging increases return on marketing investment (ROMI) such as highlighting the recipient’s unique qualifying APR or the anticipated mortgage amount. Use a prominent offer and call to action. Lower interest rates, lower down payments or no closing costs are strong offers currently being used by top mortgage lenders. Place the offer in a clear and prominent location and have the call to action in multiple areas on the mailpiece. The side bar and the P.S. are prime real estate areas on the letter to feature the recipient’s specific qualifying APR and mortgage offer. Employ cross-channel marketing. Direct an applicant to the mortgage lender’s call center or website. Plan ahead to ensure the website is mobile-enabled and up-to-date and call centers are appropriately staffed. Establish a PURL or specific landing page with content tailored to each applicant’s needs. For successful mortgage acquisition programs, combine mortgage trend knowledge with these design best practices. If you need additional help turning the corner on your 2015 direct marketing strategy, contact us today.